Our ancestors used to live nomadic lives, but once we have settled down and started growing our own plants and animals, our willingness to move has grown less and less strong. This may be one of the reasons so many of us perceive moving in a new area as a very stressful experience (and why many of us would much rather not do it). Specialists do admit that for most of the people out there, moving a house is a stressful experience. Finding a new place, getting all the paperwork done, transferring the kids to a new school, packing, unpacking, organizing the moving – all these things take time and patience to be done properly. Unfortunately, that is precisely what most of us lack: time. If you need your moving to Eastcote, HA4 go as smoothly as possible, you really need to call Moving Service. We have a team of professionals ready to help you with most of the moving-related issues, from packing and unpacking to providing you with man and a van or lorry to transport your personal belongings and with a couple of movers HA5 area to help you carry the things. Contact us on 020 8746 4402 and you will find out more about our exquisite services. It is a quiet suburban West London area that has become the favourite of many people precisely because it provides them with a cleaner and quieter environment to live in. With a population little over 12,000, the area has history behind it – even if actual historical events did not happen here. 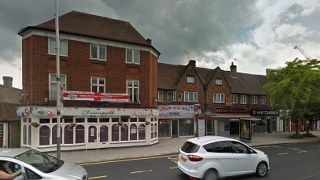 Connected to the Medieval development of the area, Eastcote (previously known as Ascot, same as Northwood was known as Nordwood in approximately the same years) is the kind of place you will want to bring your kids to live in. The small suburban settlement feeling hovers over the entire area and it provides its residents with the peace of mind they need. However, keep in mind that this does not mean that the area is a “dry” or “dead” area. On the contrary, there’s something for everyone here. From shops to provide you with all the things necessary to live to historical pubs (such as “The Ascott”, for example), there will be something to do at all times. Even more than that, the railway passing through the area will provide you with the inexpensive transportation you need in order to visit everything nearby (including London, for example). One of the reasons many people choose not to hire removals specialists in Eastcote, HA4 is actually related to the money they could pay for this service. Sometimes, people are afraid that they may end up paying much money for the help they receive from the professional movers – and so they choose to do everything on their own, wasting time and energy on things that could have been easily handled by a team of professionals. Here at Moving Service, we believe every person moving into a new area has the right to know exactly what kind of help they can receive - and even more than that, what kind of money they should expect to pay for this service. This is why we will provide our customers with all the details as soon as they contact us on 020 8746 4402. Call us and allow us to assess your particular moving situation and provide you with free house removals quote of what we will ask for in exchange for our services. We can deliver packaging materials, help you pack your belongings in a professional way (and unpack them the same way, too) and we can bring a man and van in HA5 area to help you out with the moving process. Doing an office removal is a decent amount of work, so we really appreciate what the guys in Eastcote did for us when we gave them a ring.